There are always a few questions when hiring a professional to do any job. Here are some things you need to know before hiring a professional to repair your fence. 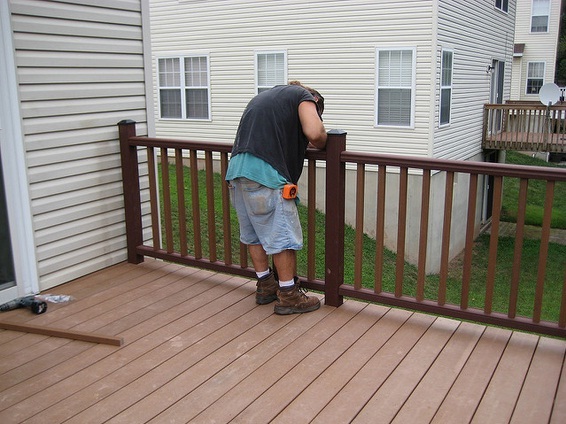 O’Leary and Sons are quality professionals, who are renowned in the business of fence repair, deck building and siding repair. Can I Do the Job On My Own? It is a good idea to look into it and see if you can do the repairs on your own first. Make sure to hire a professional if you feel you or someone you know would not be able to do an adequate job. The first thing you should consider is how long a particular job will take to complete. Fences are built for privacy, and having one repaired often impedes that. It is a good idea to take into account that you are going to have people in your yard, and if it is a job that will take more than one day, it is possible that you will have an uncompleted fence that will not be performing the job it is meant for. If that is a concern, you should ask all of the contractors you are considering how long it will take them to get started on the job and then to finish. The Internet makes it incredibly easy to find contractors in your area, and it is definitely a tool to use in your search. However, you need to make sure that you are getting a true picture of the company and the job they will do. Reviews and reputations can be a good insight into the work. This should give you a good idea of the quality of their work, which will make you feel better about hiring them. O’Leary and Sons have been around for years, and have an outstanding reputation and relationship with customers. If you had your fence installed by a professional, you may have gotten a warranty on it. If your warranty is still good and is valid for the repairs you need done, then it is always a good idea to take advantage of it. Unfortunately, most of the time, repairs will be needed without having a valid warranty; if you are ever given a warranty, make sure to keep record of it. Call OLeary and Sons today to make sure you schedule an appointment for your fence!